Their wedding was help at Estancia La Jolla, a beautiful boutique hotel in La Jolla. We stayed after to watch the ceremony. Everything was so beautiful. As a cake designer, I am so honored to be part of the wedding. During the cake tasting, Bride Jessica and I decided to go with the naked cake style based on her garden wedding theme. 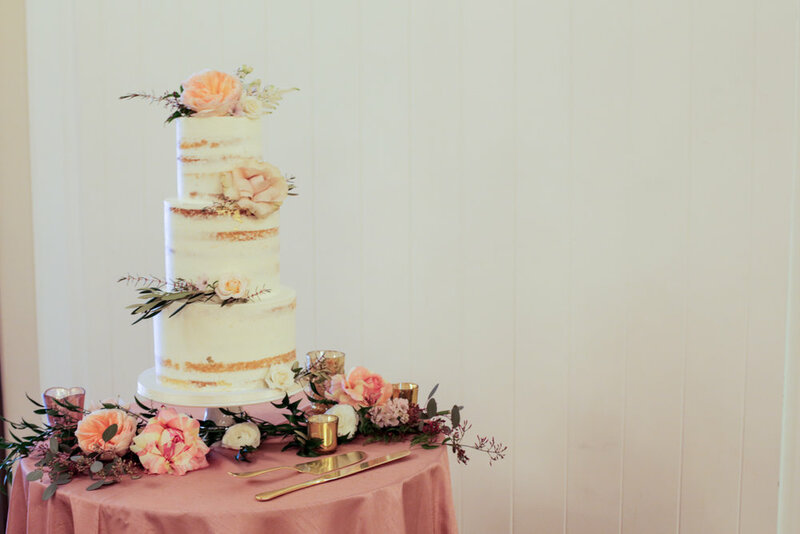 The rustic look of the cake matched the theme really well, and this is exactly what we are looking for. 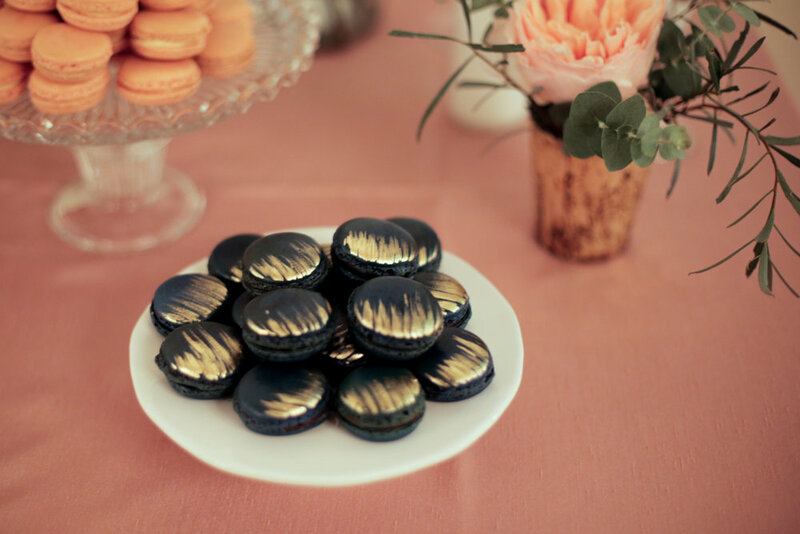 One of the mini desserts was the navy macarons with early grey chocolate filling, matching the wedding color of navy and gold.